There are several Buddhist destinations all across India which is important from pilgrimage perspective. Kushinagar, near Gorakhpur, where he achieved Mahanirvana. Near the holy city of Gaya, the Buddha attained enlightenment. The tree that had sheltered him came to be known as the Bodhi tree and the place Bodhgaya. Today, Bodhgaya is an important place of pilgrimage and has a number of monasteries, some of which were established by Buddhists of Japan, Thailand, Myanmar, Sri Lanka etc. hence, it is a major attraction for foreign tourists. Shey Palace and Monastery - It crowns a knoll and reflected in a mirror-still lake located at its base. A two-storey high, gilded Maitreya Buddha image resides in the monastery. Thiksey Monastery - Exhibiting a fine example of the Ladakhi architecture, this Gompa is situated on the top of the hill and part of Gelukpa order. The monastery complex contains numerous stupas, statues, thankas, wall paintings, swords and a large pillar engraved with the Buddha's teachings. Hemis Monastery - Hemis takes its name from the world famous Buddhist Gompa situated here. Each monastery celebrates its annual festivals. One of the festivals which are famous and celebrated is the Hemis festival. People from all over Ladakh come to attend this two day long festival which is preceded by seven days of prayers by the monks in the monastery. The most impressive part of the festival is the famous mask dance which lamas of the monastery perform continuously for two days. Located in the district of East Champaran, 40 km from Motihari and 10 km from Rampur Khajuria (NH28), Kesaria is the largest and the tallest stupa in the world, excavated by Archeological Survey of India (ASI). Due to lack of proper marketing strategies, this destination is among the lesser known sites which need to be promoted. Vaishali was one of the earliest republics in the world (6th century BC). It was here that Buddha preached his last sermon. Vaishali, birthplace of Lord Mahavira is also sacred to Jains. a) Ramabhar Stupa: This large stupa, estimated to be about 50 feet tall, is famed as the site where Lord Buddha was cremated. b) Mahanirvana Temple: This temple features a six meters long statue of Buddha in a reclining position and the statue is a representation of Buddha in his last hours. c) Mathakuar Temple: Located about 400 yards from the Nirvana stupa, this temple houses a black stone image of the Buddha and has inscriptions dating back to 10th-11th century. d) Watt Thai Temple: One of the most popular and visited tourist attractions in Kushinagar area, the Watt Thai temple is modeled on the Thai Buddhist architectural style. e) Japanese Temple: This temple attracts tourists for, among other reasons, its 'Ashta Dhatu' or 'Eight Metals' statue of Lord Buddha. This statue was initially brought from Japan in dismantled form and was reassembled in Kushinagar. f) Chinese Temple: Another popularly frequented tourist destination, this temple has a predominantly Chinese architectural style and is designed similar to temples found in China. a) Stupa Complex: This is the main archaeological site which was discovered during excavations in 1973-74. It is here that old inscriptions were found with references to �Deoputra� (Kanishka of the Kushana Dynasty), a great patron of Buddhism who built the biggest Vihara at Kapilvastu and renovated the main stupa here. Additionally, this complex is an ASI protected monument. b) Palace Site: Another attraction of this place is the site of a palace believed to be the ruins of the palace of King Shuddhodhan, the father of Prince Gautam. Chaukhandi Stupa: Believed to have been originally constructed during Emperor Ashoka�s reign, the stupa is the first monument encountered after entering Sarnath. The Stupa is primarily made of a mound of bricks and an Octagonal tower surrounds the square edifice. Dhamek Stupa: An imposing conical structure, 28 mts in diameter at the base and 43.6 mts in height, the Dhamekh stupa signifies the place where Buddha delivered his first teachings in the form of the Four Noble Truths. The stupa was constructed by Emperor Ashoka. Mulagandha Kuti Vihar: A modern temple erected by the Mahabodhi Society, the Mulagandha Kuti Vihar is a modern version of the older temple that lies in ruins today. A storehouse of Buddhist literature, the temple also has frescoes by Kosetsu Nosu, Japan�s foremost painter. Sarnath Museum: There are numerous sculptures comprising numerous Buddha and Bodhisattva images spread over Sarnath. The Museum houses some of the finest specimens of Buddhist art adjacent to the site. Ashoka Pillar: Ashoka Pillar is one of the most famous and most visited tourist spot in India. It consists of a canopy representing an inverted bell-shaped lotus flower. 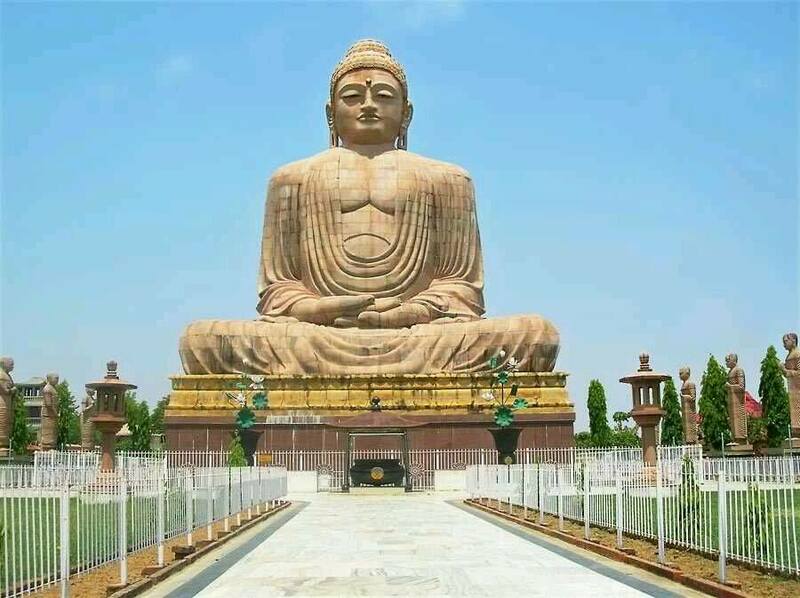 The town of Sankisa is located about 47 km from Farrukhabad, and is a place of tremendous importance for the Buddhists. It is believed to be the place where Buddha descended after giving sermons to his mother in heaven. There are ruins of many stupas and monasteries here from ancient times. The place is also known for a temple dedicated to Bisari Devi and an excavated Ashokan elephant pillar. There is also colossal Shiva Linga here. A large fair is held at Sankisa in the month of Shravana (July-August) every year. a) The Buddha Temple: This temple has become the most important attraction of Sankisa, as it is believed to be at the spot where Lord Buddha was supposed to have descended from heaven. The temple houses a statue of Buddha. b) The Temple of Maya Devi: This temple is dedicated to the mother of Gautam Buddha who is regarded as the goddess of fertility by the people here. The walls of the temple bear Buddhist sculptures dating back to Mahayana age. c) The Ruins of Ashokan Elephant Pillar: Another attraction of Sankisa is the ruins of the Ashokan Elephant Pillar. The uniqueness of the pillar is the presence of elephants instead of lions. The elephant is believed to be symbolic of the white elephant of which the mother of Buddha had a vision at the time of conception of Siddhartha (Lord Buddha). d) Shiva Linga: A colossal Shiva Linga is also an attraction for Hindu devotees from around the country. e) Shravan Mela: The Shravan Mela held in the month of July - August also draws large number of Hindu devotees to Sankisa every year. Located near Sahet, Mahet was once a fortified city whose ruins today include two Stupas. Another tourist attraction consists of the ruins of a Jain temple, the birthplace of the third Jain Teerthankara, Swayambunatha, which dates back to the medieval era and is a sacred place for the Jains. There are a number of monasteries near Jetvana Vihara such as Sri Lankan, Chinese, Myanmarese and Thai monasteries and temples, which perform meditation and other Buddhist practices. Nearby these monasteries lies another tourist attraction consisting of a huge World Peace Bell that was established with the help of the Japanese.